When it comes to plus size activewear many women tend to think the pickings are slim, when in fact that is not true at all! 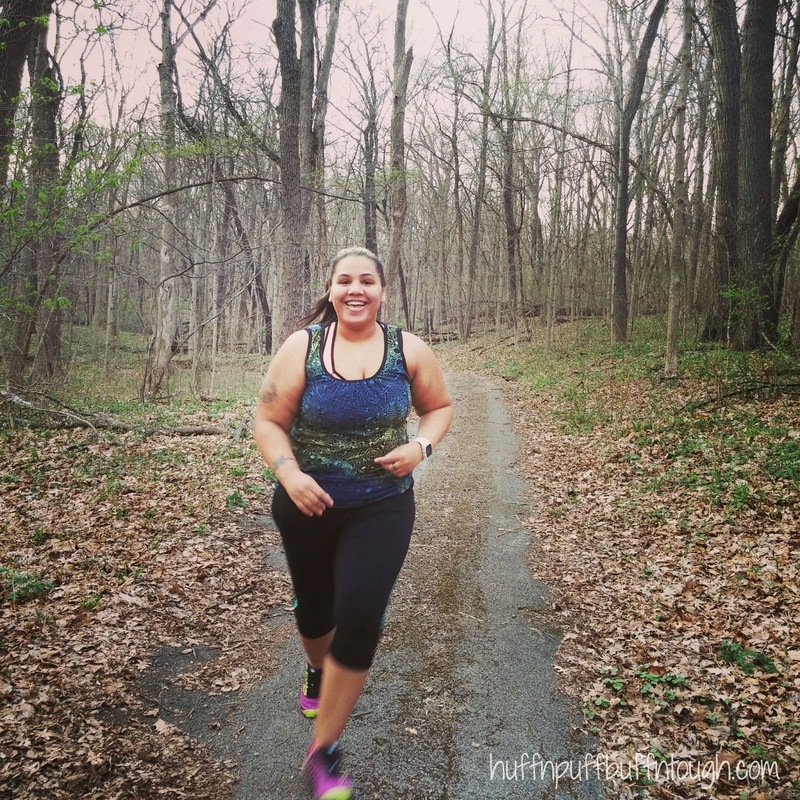 There are a ton of great brands that offer plus size activewear and of good quality! When I first entered the fitness world and started my fitness and weight loss journey, I had the same mindset about activewear. It wasn't until 3 years ago that I discovered that was not the case at all! Rainbeau Curves is a family-owned business based in San Francisco and has embraced the California active lifestyle for over 30 years. Rainbeau Curves has focused their attention on plus size activewear. Rainbeau has graciously allowed me to pick an outfit from their website to try. I choose the Jocelyn Tank (Blue Skies) and the Krysten Capri (Blue Skies). I got out and did a half mile trail run and then a 2 mile road run in this outfit. I must say, that I am pretty impressed with the quality of the the tank and the capris. The Jocelyn tank has a great design!! I love the colors that are offered. The tank has ruching on the chest, which gives off a nice elegant look. There is a built in bra for extra support. The straps on the back of the tank (which are not pictured here) is one of my favorite features on this top. The fabric is thick, but still comfortable. It has moisture-wicking abilities, so you will stay cool and dry. It has a good length to it! I think this tank is so unique in terms of design. You will definitely see me rock this tank in different colors at a few races! The Krysten Capri design is so cute!! I have been going crazy over these capris! I love the gradient design flowing down the leg on each side. I feel like it works with my curves. The side cut-outs at the bottom leg are so awesome and gives off a unique look! I am always looking for those capris that have a little extra something special to them that you don't see on a lot of other capris. The wide mesh cuffs at the bottom are nice and prevent the capris from riding up the leg. I have always had that problem, especially while running. I love the fit, but the fabric is a little on the thin side. I like my compression capris with thicker material for most things I do when it comes to working out or when I am out on a run. It hides my cellulite a lot better than thinner material. I do like to wear thinner material with my capris when I am just lounging around in them, or out and about and I am not too concerned with totally concealing my cellulite. With the thin material, my skin can breathe and more air can flow through, but having the thinner fabric means that there will be a higher chance of the thighs rubbing through the material more quickly than the thicker material. It would be nice to see these capris offered in thicker fabric alongside the capris in it's current form. Overall, I really like what I see from Rainbeau Curves! They are affordable, stylish, and comfortable. 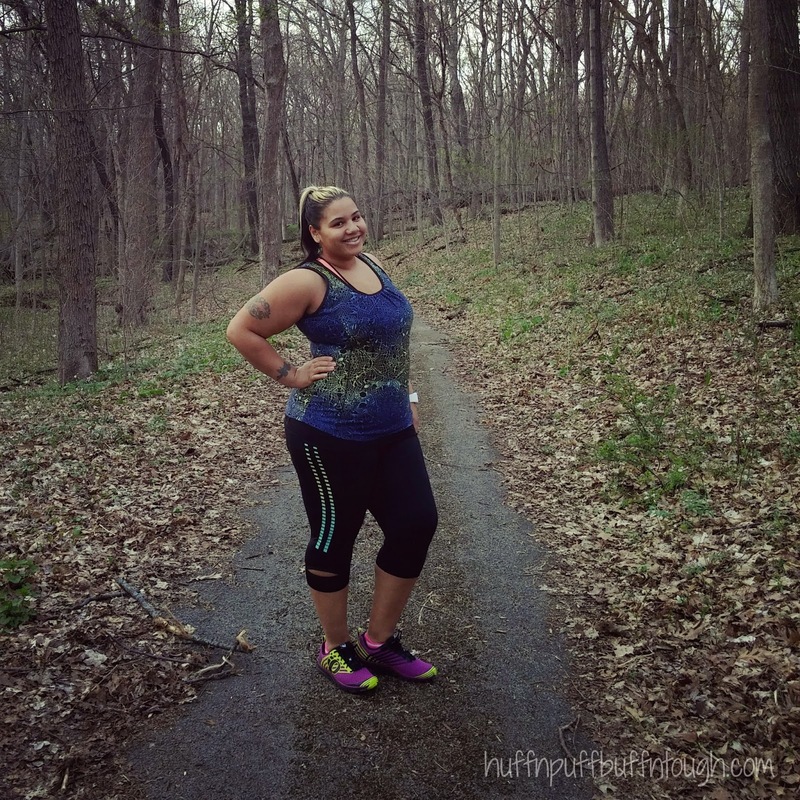 They have raised the bar when it comes to plus size activewear. 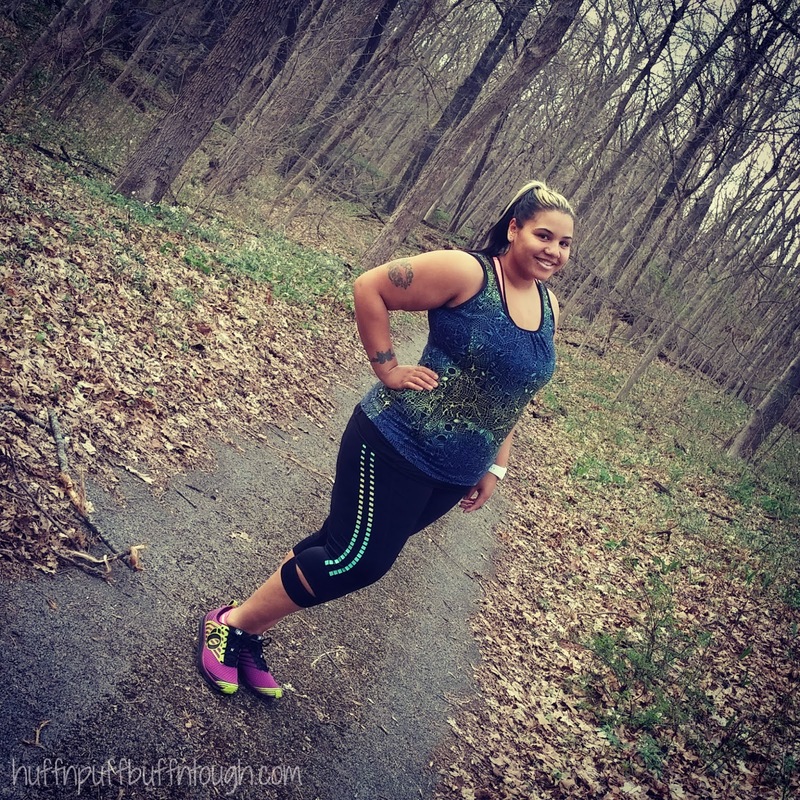 Rainbeau will continue to be a part of my activewear wardrobe for as long as I am wearing plus sizes. It will be awhile before I am below a size 12 in pants. 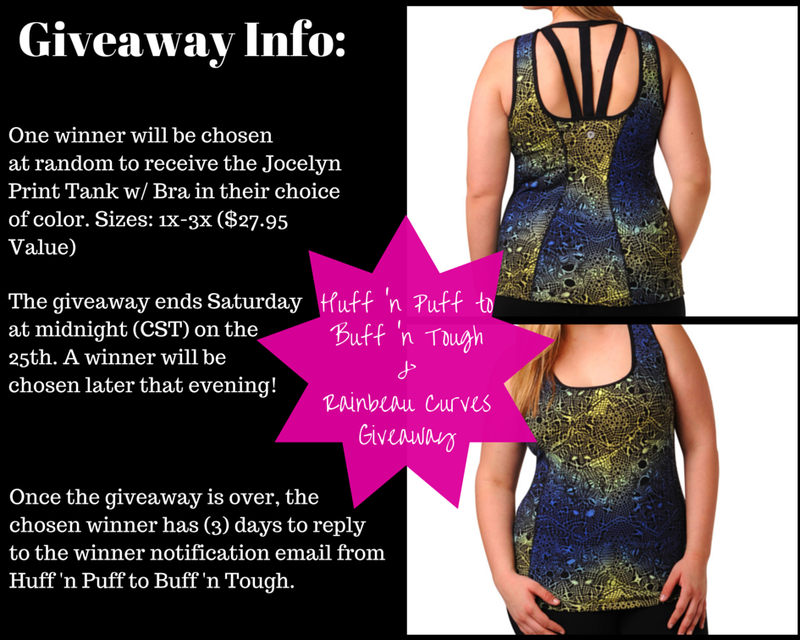 I have teamed up with Rainbeau Curves and we're giving away a Jocelyn Print Tank to one lucky reader/follower. So cute! That tank is beautiful and you look AWESOME! I have never heard of this company, but as a plus size girl I'm always on the lookout for great active wear! You look amazing! Thanks for sharing! love that shirt!! the back is awesome!! I also like how you wouldn't have to find a racer back bra to wear it! That's my biggest issue!! I wish I lived closer! Right! That's my favorite feature on the top! Keep in mind... the giveaway is open to everyone in the U.S.
Great post! Love the outfit. That workout outfit is super cute on you! Those outfits looks super cute. It's great to know there is a company who focuses on plus size workout wear. Awesome clothes and they look great on you! I love love the colors! Love the detail in this top!! I don't have anything cute in my workout gear drawers, that needs to change!! I love the tank you look amazing!